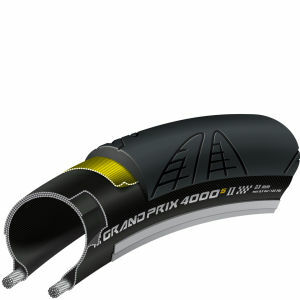 The Grand Prix 4000S II boasts global appeal as the best all round race bike tyre on the market. Not only is it fast and super grippy, thanks to its state of the art BlackChili rubber compound, but it is also tough with a healthy tread layer and of course Continental's Vectran anti puncture breaker layer underneath. So for reliability, longevity and all out performance for your race machine, the GP 4000S II is the only choice. How are these figures possible? 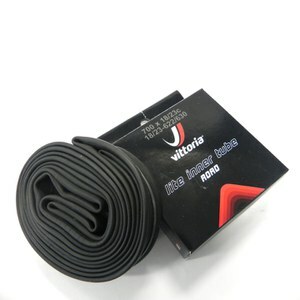 The carbon filler particles within the rubber compound are reduced to 1/10th of the size of standard carbon particles. This creates a closer knit with the particles having more points of contact with each other, thus forming a tighter bond, (increasing mileage performance) and also with the road (increasing grip). Also the way in which the particles interact with each other has a dramatic effect on reducing rolling resistance. Black Chili is used by several ProTour and Continental teams as shown opposite. The all new Vectran breaker belt, developed and patented by Continental, surpasses even the famous puncture resistance of the former leader in this category, the GP3000. The extremely strong Vectran fabrics are more flexible and lighter than all other puncture protection materials. Vectran offers more resistance to cuts than Aramid, is five times as strong as steel and features less weight than a nylon double breaker. It also maintains strength in the wet. The 4000's are fantastic tyres. A year's cycling with no flats; that is a first for me, considering the poor road conditions. The tyres afford great grip confidence in all weathers. With the arrival of the new 5000's, these tyres are great value for money. Highly recommended. 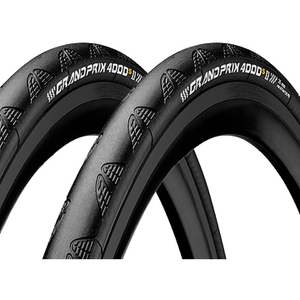 Great deal on the best tire being made for consumer road cycling. I love the Conti GP 4000 as they roll well and have a level of flat resistance that is required in Central Australia with the amount of glass and three corner Jacks that we have out here. Best tires made. Fast. grippy and dependable. Been looking at these tyres for a while, but needed a new set to get me through the autumn. I am very impressed, as they were easy to fit, and feel significantly better than my previous tyres - more grip, and smooth rolling. Great tires! I have used these tires for the past few years. 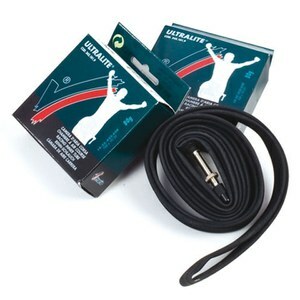 Good grip, excellent puncture protection, long lasting rubber. Highly recommended!